iBall is a Mumbai-based smartphone manufacturer which releases smartphones for the Indian smartphone market. Like many other India-based OEMs, iBall launches quite a few smartphones a year, though not nearly as much as some other OEMs do. Anyhow, this company has announced an 8-inch Slide 3G i80 tablet last month, and is now back with yet another interesting device which reminds us of one of Oppo’s smartphone, let’s take a look at what iBall has to offer, shall we. 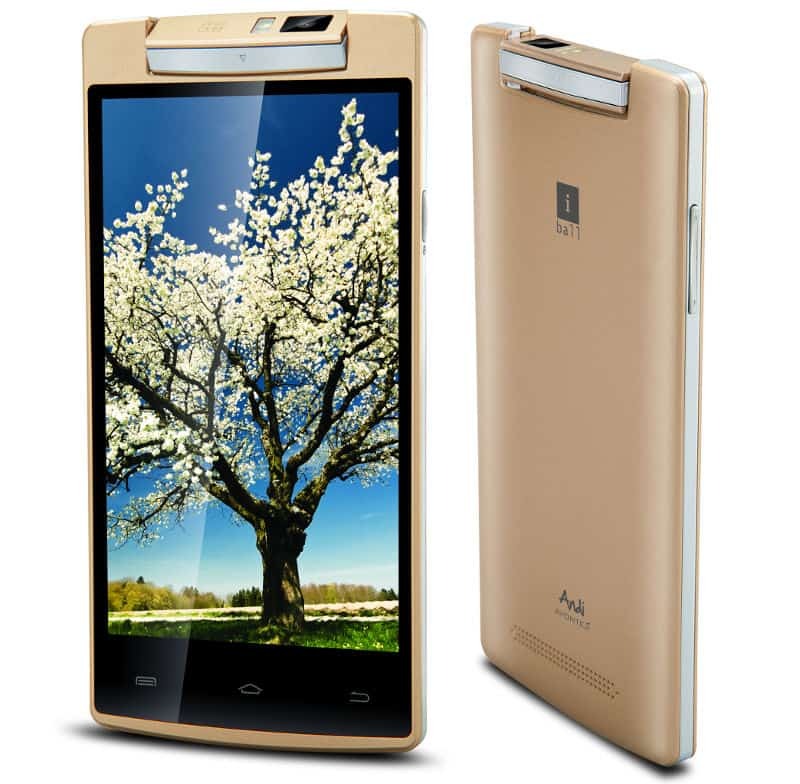 This Indian company has announced Andi Avonte 5 smartphone, a mid-range smartphone which sports a rotating camera up top. This handset has a 180-degree rotatable 8-megapixel snapper available up top, and a dual-LED flash is also included on it. You can, of course, take regular images or selfies with this camera considering it serves as both rear and front-facing shooter. The iBall Andi Avonte 5 actually reminds us quite a lot of Oppo N1 and N3, not only because of the rotating camera but the general design as well. Other than the rather interesting camera sensor, this handset is a regular mid-range offering. The Andi Avonte 5 features a 5-inch 854 x 480 IPS display along with 1GB of RAM and 8GB of expandable internal storage (expandable up to 32GB via microSD card). This is a dual-SIM handset and it offers 3G HSPA+ connectivity (no 4G LTE available here). The 2,150mAh battery is also a part of this package, and Android 4.4 KitKat comes pre-installed here. An unnamed quad-core processor clocked at 1.3GHz powers this handset, though it’s probably a MediaTek chip. “iBall Avonte5 with its 180-degree rotating camera, rich looks and superb features will surely be the best smart phone under Rs 6000 in the Indian market,” said Sandeep Parasrampuria, Director at iBall. The iBall Andi Avonte 5 will ship with 21 regional languages pre-installed with read and write support, and 9 regional system languages for all menus and system information. 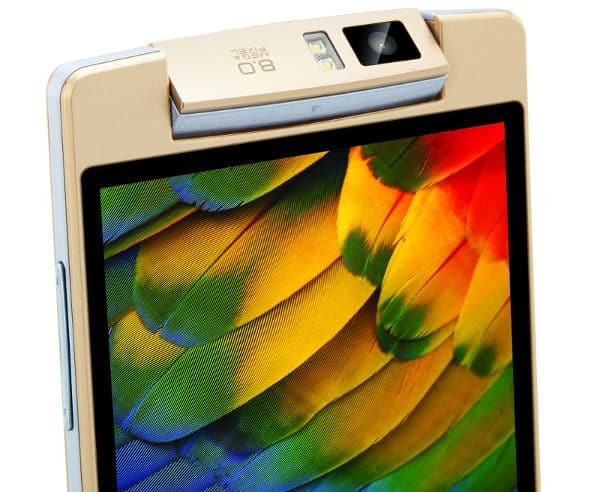 This handset will be available in Gold color only, and it will cost Rs. 5,999 ($94) in India. The device will be available soon in India, so if you’re interested in purchasing this interesting offering by iBall, keep your eyes open. The post iBall Andi Avonte 5 Features An 8MP Rotating Camera appeared first on AndroidHeadlines.com |.